I had a great conversation today with one of my blog-heros, Jeff Nolan. 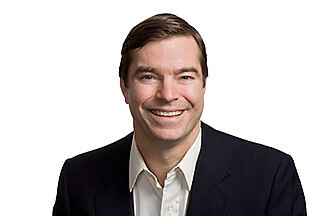 Jeff recently finished a stint as the CEO of Teqlo, a pioneer in hosted tools for building Enterprise 2.0 applications. Others in this space include Coghead and Bungee Labs. The nirvana we are all shooting for is a world where developers can assemble useful business applications with minimal coding or scripting. The idea is to take simplify certain tasks that are hard to do with code (e.g., visual assembly of page layouts, hooking controls to services) without making it harder than normal to do the things that will always have to be done with some sort of logic. The reality to date has fallen short of this nirvana. 1. “Slowest man sets the pace.” Chaining together service calls to build applications creates bottlenecks where the slowest service call tanks the performance of the whole application. 2. Look but don’t touch widgets. Although this is changing (see here for the latest on Google’s pub/sub widgets), the vast majority of widgets can’t exchange data. This allows for an infinite variety of cute clock and horoscope widgets, but a paucity of useful business functionality in widget form. 3. Web service alphabet soup. There are a number of web service standards and even within a standard there are few rules for how the standard should be applied. This means that creating widgets to integrate web services is unexpectedly time consuming. 4. Still too darn hard. The world of widgets and building AJAX apps is still far too complicated for the typical end user developer. Current state of the art tools still require a knowledge of IDEs, standards and languages far beyond the grasp of casual developers. 5. Service throttling. At ActiveGrid, we have found that a number of web services like Google Maps are easy to mash-up for demo apps but much, much harder to use for doing real work. Given that Google has to pay for all the servers, it is easy to see why they would want to encourage people to use their web services in non-intensive ways. Jeff believes a big market lies in creating “people, place, thing” applications like project management and time tracking. I would add that the killer app is tying Internet data presentation and collection with email workflow – sort of an updated Lotus Notes. The market and the tools are evolving quickly, so in six months the landscape will look fundamentally different. For now, however, the vision of idiot-proof assembly of Enterprise 2.0 apps using rich business widgets has yet to be fully realized. "The nirvana we are all shooting for is a world where developers can assemble useful business applications without coding or scripting. [my emphasis]." If that nirvana were actually to be realized, then it seems that we really wouldn't be talking about "developers" anymore, would we? I think that your assertion in the quoted sentence may be based on an erroneous assumption. Since each business problem requires its own logic and workflow, whatever the form factor may be for representing the logic, wouldn't it still be, at its essence, coding and scripting? I wonder whether a more appropriate framing the matter (with respect to the five points that follow in your post) is more that it's about what can be made trivial so that whatever coding and/or scripting remains can directly address whatever actual need or problem (be it a business need or a social innovation) needs solving. Or have I just misinterpreted your meaning in that sentence? This is a really good point. As the Rev Occam (a relative ;-)?) declared, "Things should be made as simple as possible but not more so." The idea is to take certain tasks that are hard to do with code (page layouts, hooking controls to services) without making it harder than normal to do the things that will always have to be done with some sort of logic. You have inspired me to go back and de-drivelize my posting!